To mark the end of a successful summer and celebrate the upcoming launch of marquee game Max Quest: Wrath of Ra, Betsoft Gaming hosted a glamorous evening event in the historic heart of Malta this month. On 12th September, more than a hundred industry figures homed in on the legendary Sheer Bastion just after sunset. While the venue dates back to the 1550s, guests received an even older welcome in the form of Ancient Egyptian statues, gold accents, and hosts dressed as royalty, soldiers, and servants from the time of the Pharaohs. The glittering makeover was in honour of Max Quest, the revolutionary new Betsoft game scheduled to launch later this year. In Max Quest, players party up to explore a sunken tomb beneath the sands in search of treasure, collaborating and competing in an interactive shooting experience that puts an entirely new slant on traditional slot gaming. To recreate the atmosphere and opulence of Ancient Egypt, two statues of Anubis were placed on guard beside the Sheer Bastion entrance. From there visitors walked a golden carpet past a gigantic canvas poster of Max Quest’s reanimated villain, where they had the chance to pose with Egyptian props. 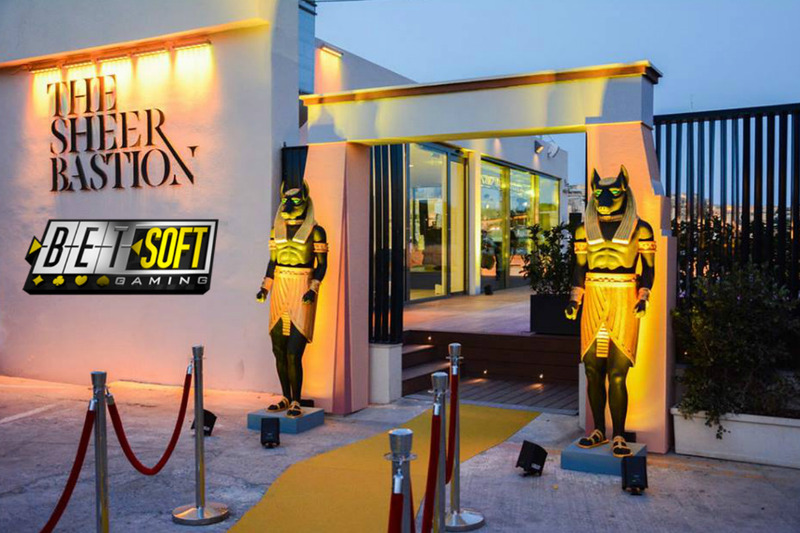 Inside, overlooking the harbour, guests found a sphinx statue sitting beside a table loaded with cocktails, canapés, and screens showing recent highlights from Betsoft’s Slots3TM series in action. Guests had ample time to gather and network, as the celebrations continued into the night. Live music and entertainment came in the form of an exclusive DJ set by Belgian act The Knight Riders, traditional goblet drum players, and glamorously-dressed snake charmers who danced with serpents draped around their shoulders. To find out more about Max Quest: Wrath of Ra, or to discuss what is sure to be a successful autumn season for one of the iGaming industry’s leading content providers, visit www.betsoft.com. Betsoft is headquartered and licensed to operate in Malta, and holds additional licenses in Romania and Curacao.